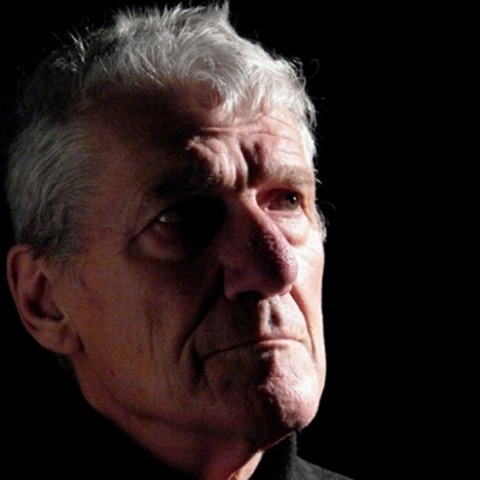 Street Source is a regular feature showcasing photos taken in Brighton. The idea is to share spontaneous moments around town – be it incidental street scenes, snapshots of people’s lives or images of the city as a landscape. Each month we ask a different photographer to participate. 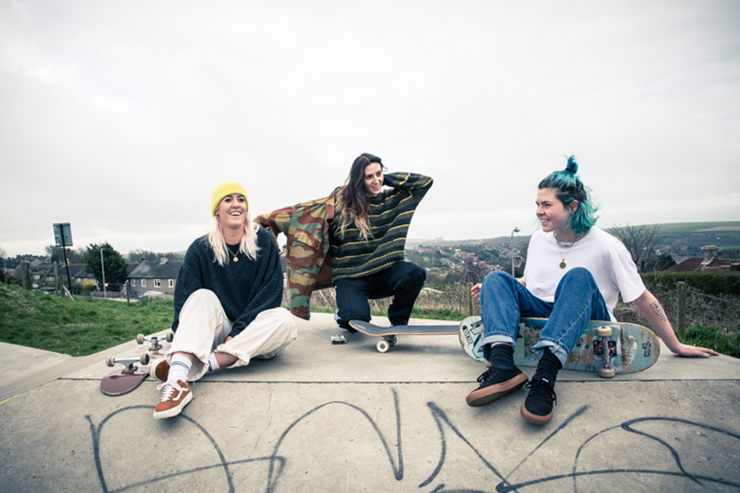 This month, Sarah Brownlow used her camera to capture the female side of Brighton’s skate scene. I first began photographing skateboarding when I moved to Bali in 2016. I lived in Canggu which had an explosive skate scene and I fell in love with the culture’s strong aesthetic, quickly becoming obsessed with capturing this on camera. 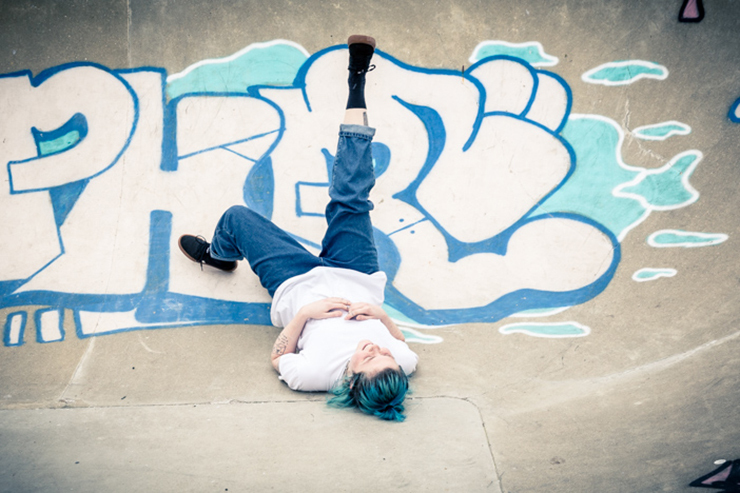 I returned to Brighton in July 2017 and sat nervously at the edge of the scene wishing I had the confidence to actually get on a board myself. Being female as well as…sharp intake of breathe…OLDER in a male dominated sport, definitely scared me off for a very long time. 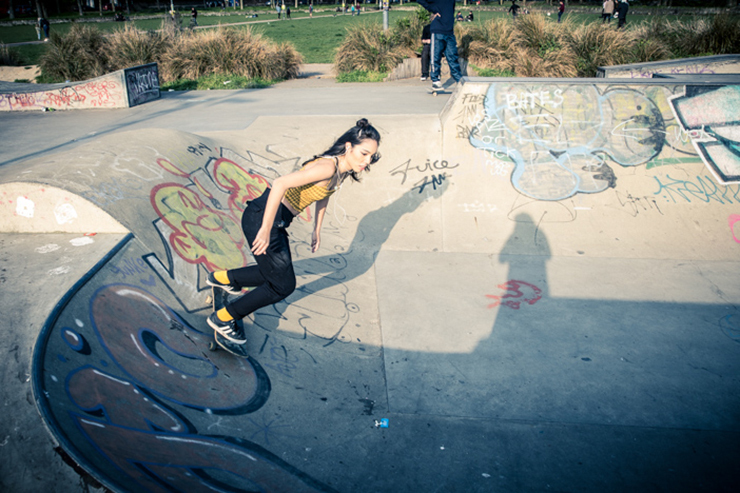 Finally in October 2018, after a chance meeting with skate teacher Ricardo, I took the plunge and began to learn. 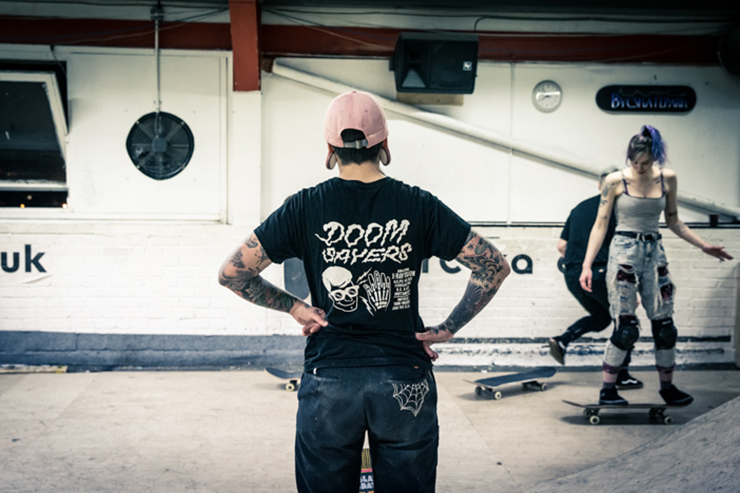 Once I finally plucked up the courage to get going, I was completely hooked and tried to skate at every available opportunity. I still struggle with confidence when first walking into skate parks but I’m working on it. The buzz I get from skating far outweighs the initial insecurity that comes with arriving at the park. 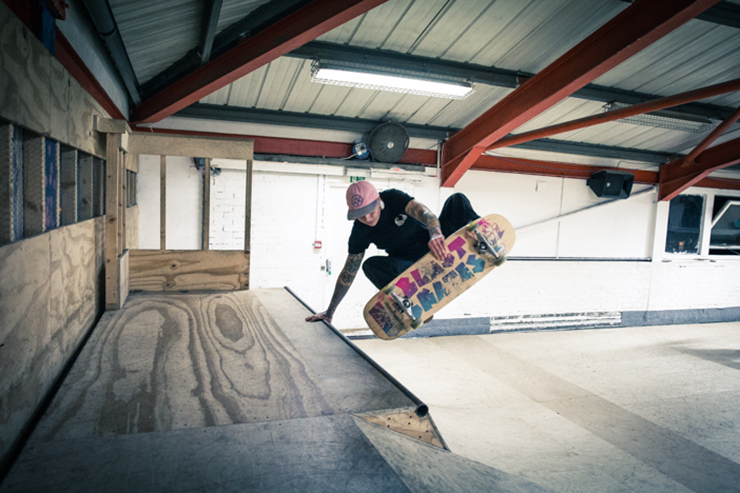 Nothing clears my head more than a good session on the board. 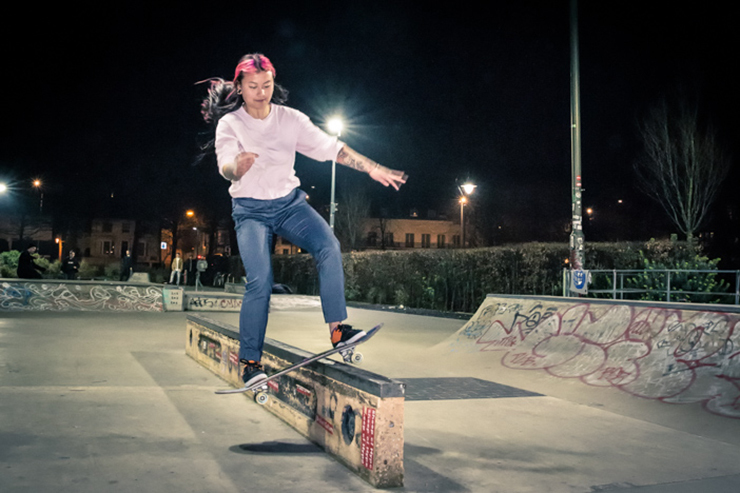 I wanted this photo story to focus on the female skate scene in Brighton. We are outnumbered hugely by the guys, but we are out there and I hope this encourages other females to get out and just try it. 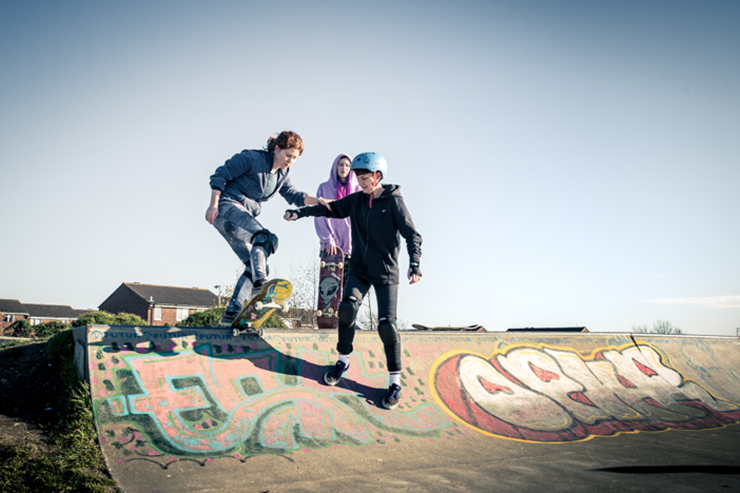 On top of the world – Woodingdean skate park offers amazing views across the countryside down to the sea. 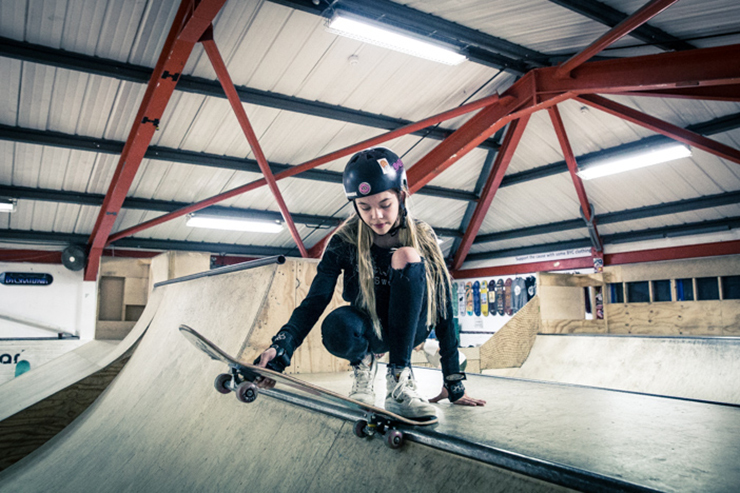 Thursday night, She Shredders – girl’s night up at BYC, Brighton’s indoor skate park. Lillie-Mae setting up to drop in. Henrietta catching some payback air. Everyone is friendly and supportive of each other. We just want to get out there and learn new tricks and spur each other on. 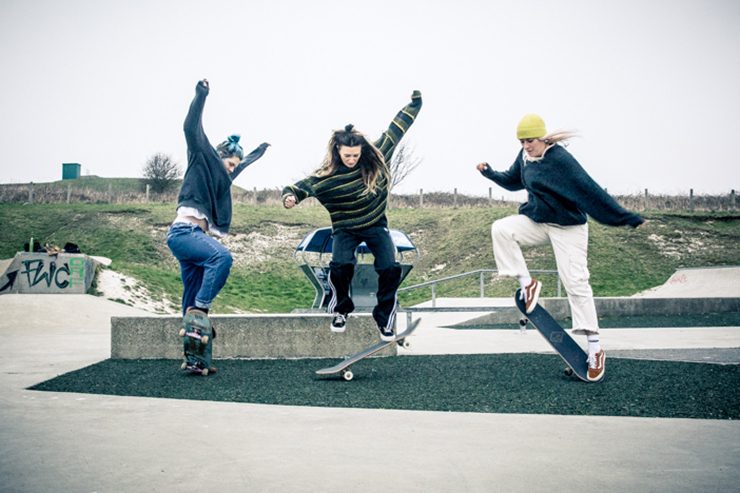 It may be super sunny, but up on the hill at Hollingdean skate park you are exposed to the wind coming off the sea in March. The floodlit Level is a godsend in the short winter days. Jamie finding new ways to roll. 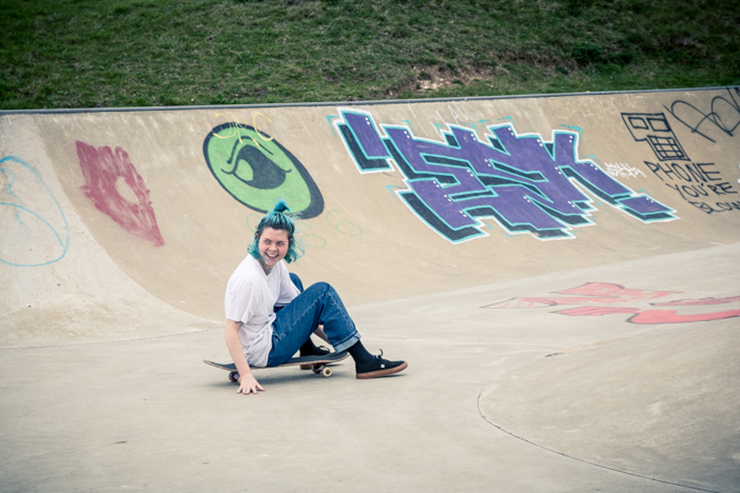 Learning to fall – pick yourself up and get back on the board with a smile. Ollie practice with the girls. Rolling head-first into spring, making outdoor skating more accessible now. Shredding the bowl at the Level.